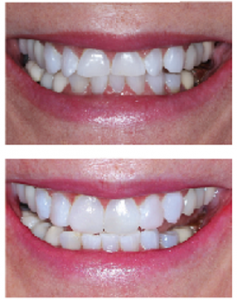 By offering a “trial smile” we are able to help our patients envision the end result in as little as 15 minutes. We know that it can be difficult to imagine what your smile might look like after altering one front tooth or even a large group of teeth. This gives you the ability to see your perfect smile and be a part of the process. Our doctors will create your trial smile by applying temporary tooth colored materials on top of your teeth so that you can see your “new look” in as little as 15 minutes! After photographing your “trial smile” the doctor can remove the tooth colored material, leaving your teeth in their original condition. Come see the possibilities!